Is Facebook stopping you getting a new job? More and more employers are using social networking sites like Facebook as a recruitment resource to research prospective candidates. That's according to a new survey by recruiters Crone Corkill & FSS, which found that 7.5 per cent of employers use networking sites as an informal part of the referencing process. 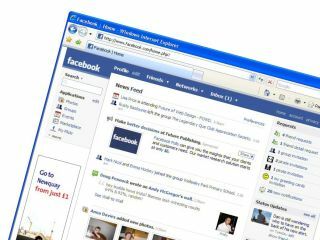 Facebook profiles can be accessed quickly and easily through search engines like Google. And as social networking sites continue to grow in number, popularity and influence, it's becoming increasingly common for companies to consider using them in the recruitment process. For recruiters, social networking websites are valuable tools in determining whether or not a candidate is suitable for the job. A social networking profile can give a far more personal insight into someone's character than a formal CV can. But do you really want to be judged in a professional capacity based on the contents of your Facebook profile? While you might be happy for an employer to see that you have lots of friends and a healthy social life, you might be less comfortable with them seeing some of the finer details. Like what you got up to at the weekend. At that club you went to. After eight tequila slammers. Compromising photos involving alcohol or the suggestion of illegal activity, incriminating comments on your wall, political beliefs and affiliations - these are just some of things an employer might look for that are unlikely to do you any favours. It's becoming apparent that not enough people are paying attention to the privacy options available on sites like Facebook. If you don't want prospective employers - or worse, identity thieves - looking at your profile and reading your personal information, make sure you set your privacy settings so that only your friends can see your profile.